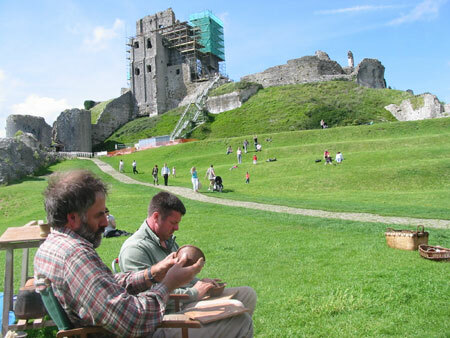 Corfe Castle, a famous National Trust property in Purbeck, celebrates annually with living history displays as part of the British Festival of Archaeology, see the website at this link. To find out more about Corfe Castle follow this link. The potters enjoying the sun. The castle was undergoing some repair works, but these are finished now, so less of the castle will fall on the visitors' heads!